We often think of Nephi, who was “…born of goodly parents…” (1 Nephi 1:1), as the youngest of four sons. His older brothers were Laman, Lemuel, and Sam. Both Laman and Lemuel murmured not only against their father (1 Nephi 2:11) but also against their faithful younger brothers, Sam and Nephi. 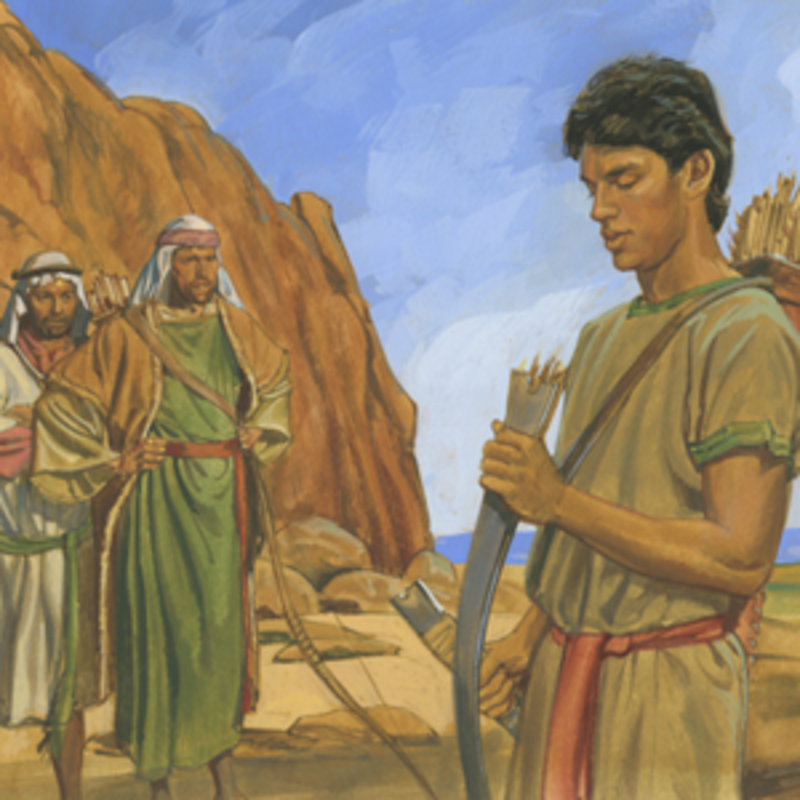 Laman and Lemuel spoke many hard words against their younger siblings and even struck them with rods (1 Nephi 3:28). During their sea journey, they harshly kept Nephi bound with cords for four days (1 Nephi 18:11-22). After they safely arrived in the promised land and their father died, Laman and Lemuel accused Nephi of trying “…to rule over… ” them and take their land and belongings, so they decided to kill him (2 Nephi 5:3). Under such lethal threats and prompted by warnings from the Lord, Nephi fled into the uninhabited wilderness, taking “…my family, and also Zoram and his family, and Sam, mine elder brother and his family, and Jacob and Joseph, my younger brethren, and also my sisters,…” (2 Nephi 5:6). 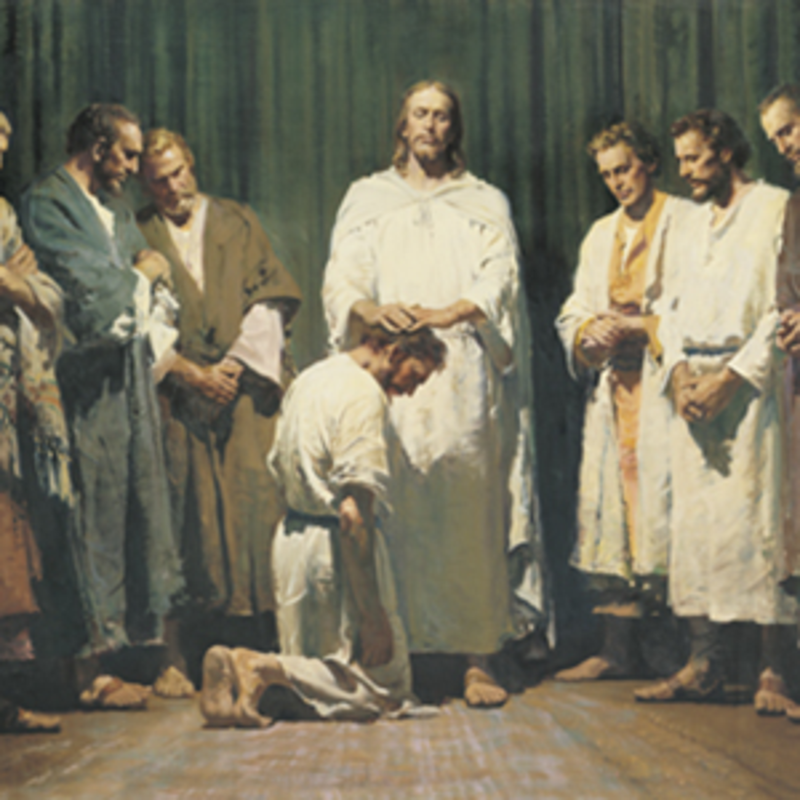 Nephi led those who followed him so effectively that they asked him to be “…their king…,” but Nephi sagely declined their proposal (2 Nephi 5:18). He acknowledged to being their “…ruler…” and “…teacher…” (2 Nephi 5:19), but there was only one true King—the Messiah—who “…shall reign over the house of Jacob for ever;…” (Luke 1:33). What kind of ruler, teacher, and older brother was Nephi? His actions speak as powerfully as his words. His leadership method was to invite, to teach, and to build. He compelled no one to go with him into the wilderness. He took only those—including his sisters—“…who believed in the warnings and revelations of God;…” (2 Nephi 5:6). Those who freely chose to become his followers were then instructed on how “…to be industrious, and to labor with their hands….” (2 Nephi 5:17). As he explained, “…I did teach my people to build buildings, and work in all manner of wood, of iron, and of copper, and of brass, and of steel, and of gold, and of silver, and of precious ores, which were in great abundance.” (2 Nephi 5:15). 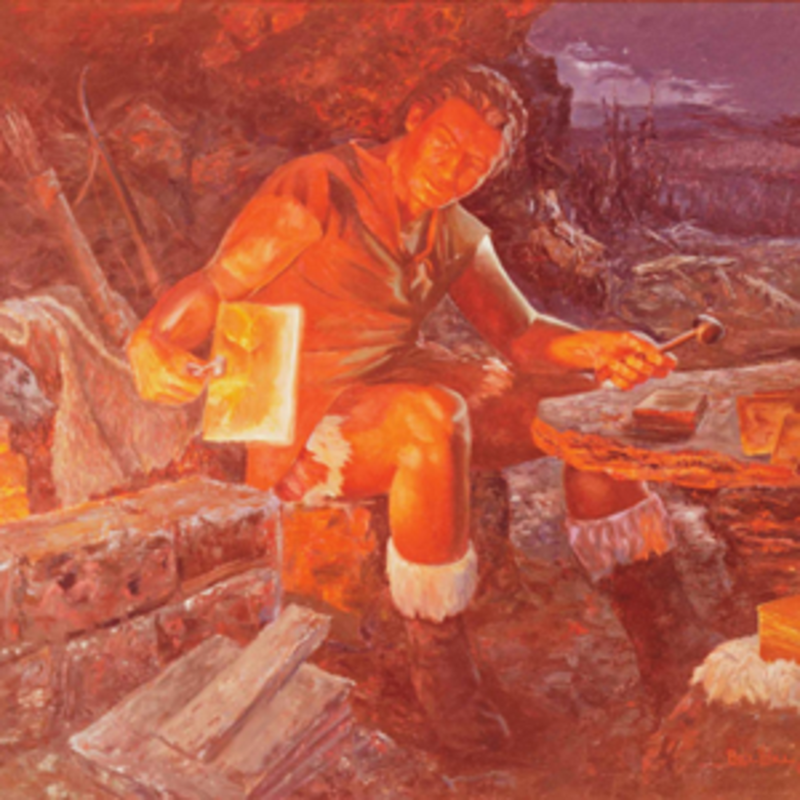 Nephi was an incredibly skilled craftsman who openly shared his many divinely taught talents. His purposes in teaching these skills were always to foster faith and righteousness. Instead of building palaces for his personal comfort, he “…did build a temple;…” (2 Nephi 5:16), wherein his family and friends could offer sacrifices unto God. 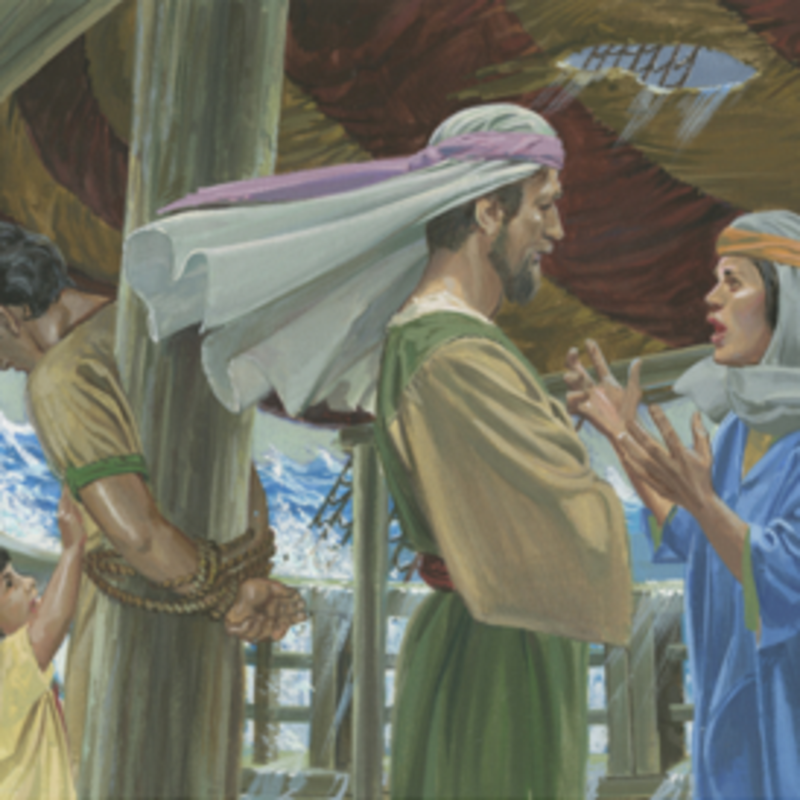 In these sacred buildings he devoted much of his time to teaching, “For I Nephi, was constrained to speak unto them, according to his word;…” (2 Nephi 4:14). Instead of glorying in his personal accomplishments, Nephi humbly acknowledged his own weaknesses: “…O wretched man that I am! Yea, my heart sorroweth because of my flesh; my soul grieveth because of my iniquities.” (2 Nephi 4:17). He diligently prayed that “…I will lift up my voice unto thee; yea, I will cry unto thee, my God, the rock of my righteousness…. My voice shall forever ascend up unto thee, my rock and mine everlasting God. Amen.” (2 Nephi 4:35). He also encouraged his people to study and ponder the writings of earlier holy prophets: “…For my soul delighteth in the scriptures, and my heart pondereth them, and writeth them for the learning and profit of my children.” (2 Nephi 4:15). 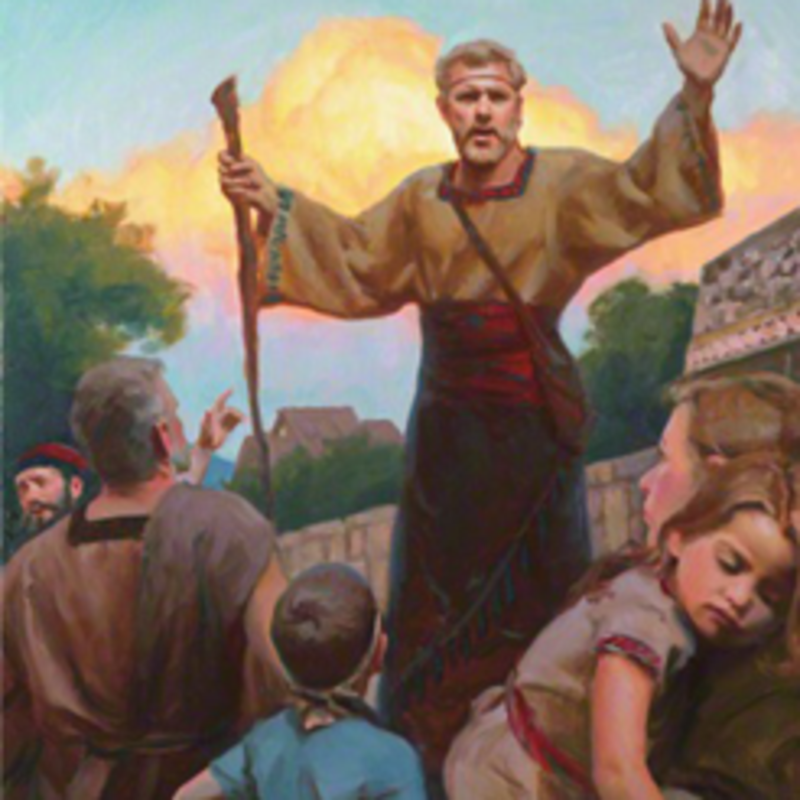 Nephi was first and foremost a humble servant of God who taught by example, by scriptures, by preaching, and by inviting all to come unto God. After arriving in the land of promise, Lehi personally counseled and prophesied to all those who had travelled with him. For example, Joseph, his “…last-born….” (2 Nephi 3:1), received a wonderful promise: “…for thy seed shall not be destroyed….” (2 Nephi 3:23). In this patriarchal blessing Lehi likens Jacob to those disciples who will personally walk the earth with the Messiah. How did Nephi react to his much younger brothers—possibly 15 to 25 years of age difference—receiving such heavenly promises? After their father’s death, Nephi lovingly cared for these brothers and “…did consecrate both Jacob and Joseph, that they should be priests and teachers over the land of my people.” (2 Nephi 5:26). Nephi did not rule over, belittle, or ignore them; he nurtured them to become righteous disciples of God. Concerning Jacob, Nephi went even further—he included his younger brother’s words as part of the book of 2 Nephi. By commandment, the small plates of Nephi were to contain only “…that which is pleasing unto God….” (2 Nephi 5:32). In striving to accomplish this commandment, Nephi authored approximately 42.5% of the content in 2 Nephi. For most of this book, Nephi engraved the most inspirational words of three other prophets: Isaiah (who accounts for 30% of the content), Lehi (who adds 13.5%), and Jacob (who contributes about 14%). Including Jacob as one of the authors recorded onto these precious plates showed that Nephi respected and learned from the teachings of his much younger brother. The penalties and torments of sin. Jacob’s second day of teaching began with a remarkable revelation—“Christ” would be the future name of the awaited Messiah (2 Nephi 10:3). During the previous night, Jacob had received this knowledge directly from an angel. In all of Nephi’s earlier writings, other Old Testament names, titles, and concepts were used to refer to the Anointed Messiah. 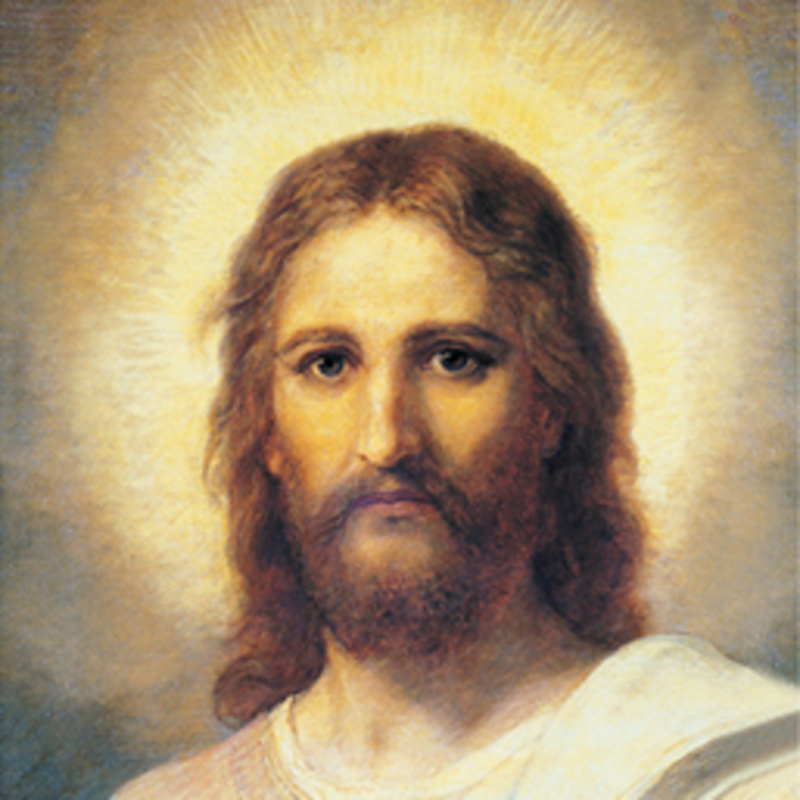 From this point on, the Nephites openly knew and taught about their Redeemer by using His New Testament name: Jesus Christ. Jacob concluded his sermon by eloquently admonishing all who heard or would hear his voice to “…reconcile yourselves to the will of God,…” and gain salvation through the Savior’s grace (2 Nephi 10:24-25). As his father had prophesied concerning his first-born in the wilderness, Jacob was, indeed, a specially chosen disciple of Jesus Christ. Nephi was the empowering prophet who encouraged and preserved his younger brother’s revelations. As we study what is written in the Book of Mormon: Another Testament of Jesus Christ, we should learn not only from what is said, but also by carefully pondering the actions of those inspirational prophets. President Russell M. Nelson has written that Nephi has had a great impact on his life and remains one of his personal heroes: “Nephi was ‘a multifaceted genius’ whose life and mission were destined to bless all people in our day” (Trent Toone, “15 LDS general authorities and their Book of Mormon heroes,” Deseret News, Jan. 7, 2016).